The ‘Preparing for Success’ training programme, through generous support from Socialgiver, reached out to over 100 girls in rural northeast Thailand. It covered key aspects such as building a positive attitude, practical guidance on post-school career, employment, and training opportunities. 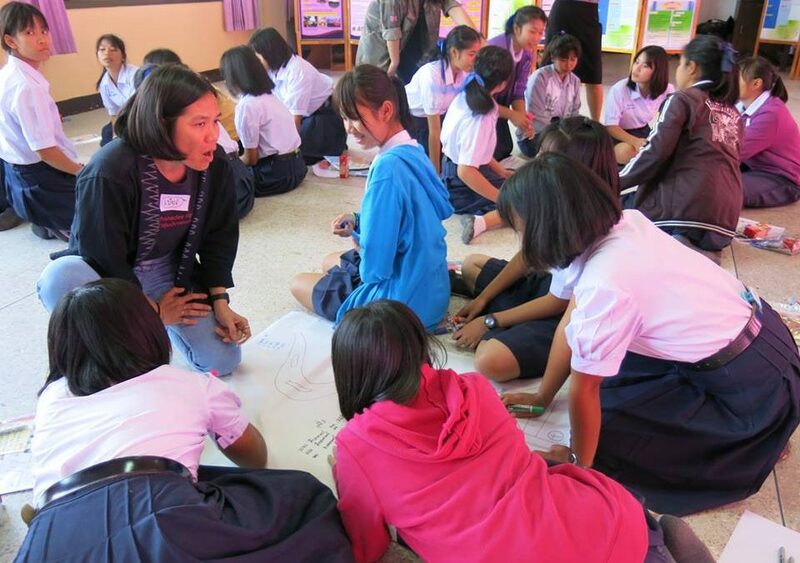 This training was conducted as a three-hour workshop in two schools in Ubon Ratchathani. become optimistic and excited about their futures. In our workshops, we administer pre- and post-training tests to gauge how well the programme was able to impart knowledge to our training subjects. Often, we find that participants have a serious lack of understanding of further studies and career opportunities going into their first workshop. Following the completion of each workshop, the post-training test outcomes showed that our trainers had successfully imparted key information to the girls, and they became far more knowledgeable about educational opportunities and possible career paths (and pitfalls) compared with before. We thank Socialgiver for helping these girls prepare for their future success!